Anyone who watches basic cable already knows what the most important part of the house is. It’s plastered all over every home renovation show and hinted at by every blog. The kitchen is the centerpiece of your home. It brings the most value and provides opportunity for the most creativity. With cabinet colors, backsplashes, countertops and lighting, there’s no shortage of space to insert your interior decorating styles. The kitchen is also the most expensive room of your home. Every customization has a cost. The more you change, the more you spend. With some areas of the space, it’s easy to tell. Formica isn’t going to give you the same effect as quartz countertops, and linoleum flooring is certainly going to stand out. But there are a few areas where you can keep costs down and make a statement, and we’re here to point them out for you. Not every renovation has to cost a fortune. Just because your neighbors spent thousands on their remodel doesn’t mean they got great value out of it. The trendiest room in the house today is the kitchen, and that’s where most homeowners are directing their reno budgets. The average midrange kitchen remodel costs almost $55,000. If you think that’s an insane cost, wait until you hear that the average value recouped is only $40,000. That means homeowners are only recouping 74 percent of the finances they put into their kitchen remodel. When you consider that kitchen cabinets can last 50 years and certain types of flooring can last even longer than that, it’s mind-blowing to imagine sinking that type of money into a full renovation. But there’s an option better than skipping an expensive kitchen remodel altogether. With home improvement costs expected to keep rising, it’s important to find out exactly what your money gets you. Spending topped $300 billion last year and is showing no signs of slowing down. Depending on your state, you may even have more competition for goods and services than the rest of the country. Tastes will also change by region and should be factored in for resale value when implementing changes to your home’s layout. 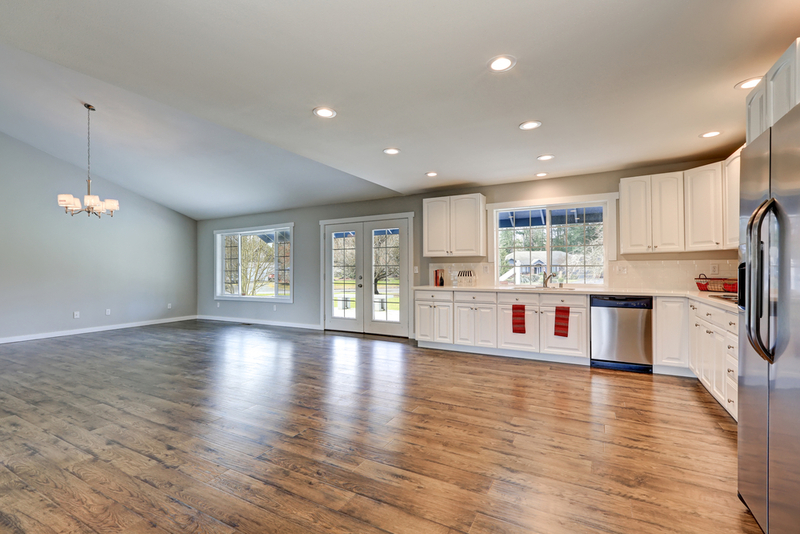 For instance, flooring in the South will lean towards more traditional surfaces than in other parts of the country. While you may not be expecting to sell any time soon, it’s always good to keep in mind what will make your home worth the most. So how do you avoid the typical pitfalls of a home remodeler? Simply knowing the shortcuts will help a great deal. You don’t have to spend like the Jones’ to keep up with them. But you will need to know where to spend to compete. Every kitchen has problem areas. It won’t be easy to fix them, and it will eat up some of your budget, but they are the first places that need to be addressed. The most common problem might just be a water one. 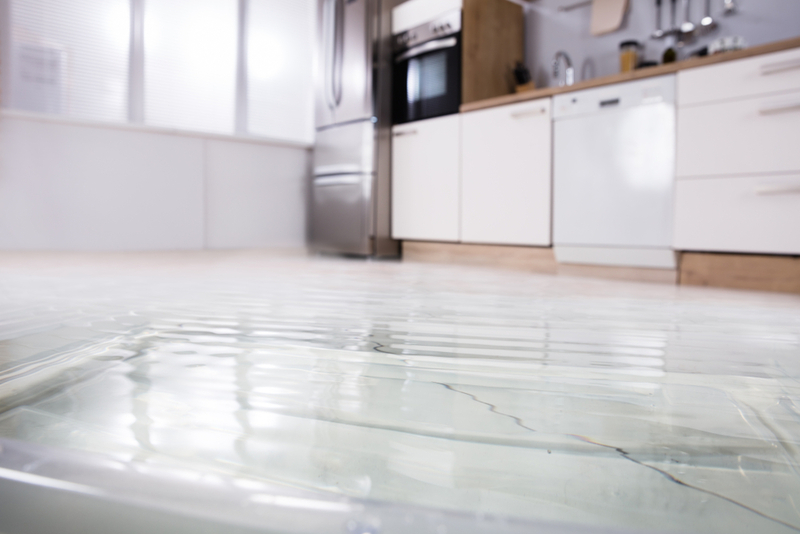 If there’s water damage, it needs to be handled immediately. Luckily there’s no shortage of experts to help you in this area. Companies like Service Master Restore are affordable, professional and well-equipped. Leave these problems untended, and you’ll have a mess in your future to deal with. The right type of flooring will make a statement bolder than any countertop or cabinet could, and you won’t even need to spend a fortune on it! Tile and hardwood will run your bank account dry, but here’s a surface that won’t: laminate. It looks great and it’s affordable. Get it in whatever pattern you want while not paying through the nose. Whether you’re interested in faux tile or wood, this is the best route to take. Edison bulbs are back! But they aren’t the only new lighting trend hitting stores. There are about a million options when selecting, you just have to find the one that’s right for your house. A hanging light can provide a little depth if you have higher ceilings while recessed lighting will do the trick if you don’t have much room to work with. And if you’re looking for a certain mood, remember to explore ambient lighting versus task and accent lighting. The options are endless! Perhaps the easiest tip of all is how to make your cabinets look great. It’s really this simple: Paint them a different shade! You don’t need all new woodwork. You might not even be able to afford all new woodwork, but you can probably afford paint. And you don’t even need a professional to do the job! Whether you’re going with a full remodel or simply fixing up a few outdated features, there’s plenty of value to be recouped from your renovation. The key is to work smart. Starting with the basics and working your way up is the best way to squeeze the most out of your remodel. It’s the homeowners who get lost in the details who find themselves in budget trouble. As long as you follow these simple tips, you’ll make the most of your kitchen without burning through your bank account. So who’s ready to save a little cash and make a great kitchen in the process?